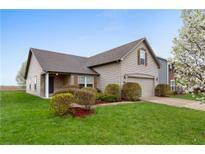 Below you can view all the homes for sale in the Wood Haven subdivision located in McCordsville Indiana. Listings in Wood Haven are updated daily from data we receive from the Indianapolis multiple listing service. To learn more about any of these homes or to receive custom notifications when a new property is listed for sale in Wood Haven, give us a call at 317-987-2530. Loft, staircase, and hallway freshly painted. MLS#21635278. RE/MAX Realty Group. Same model is going for $250-260K, we're told! MLS#21632510. M.S. Woods Real Estate, LLC. Don't miss out on this opportunity! MLS#21630926. Keller Williams Indy Metro NE. Large, private yard backs up to farmer's home. Premium playset stays. Community pool! MLS#21628461. Keller Williams Indy Metro NE. 2nd floor laundry and large loft. Expanded 2 car garage. MLS#21627325. HMS Real Estate, LLC. Excellent Woodhaven Neighborhood Amenities include a Community Park and Pool. MLS#21626496. 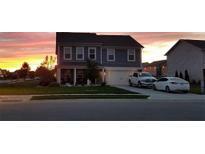 Keller Williams Indpls Metro N.
Full basement and 2 bay side load garage. MLS#21626480. HMS Real Estate, LLC. Large loft and 2 car garage. MLS#21626569. HMS Real Estate, LLC. This is a must see and will not last long! MLS#21625658. Coldwell Banker - Kaiser. 2nd floor laundry and HUGE loft. 3 bay garage. MLS#21619643. HMS Real Estate, LLC. There are 2 additional bedrooms each with a walk-in closet and shares a centrally located hall bathroom and large loft. 3 car garage. MLS#21617409. HMS Real Estate, LLC. There are 2 additional bedrooms each with a walk-in closet and shares a centrally located hall bathroom and large loft. 3 car garage. MLS#21616841. HMS Real Estate, LLC. Gorgeous new Avery Cambridge Cottage plan in beautiful Woodhaven featuring all the quality and craftsmanship you've come to expect from Fischer Homes. MLS#21616806. HMS Real Estate, LLC. There are 3 additional bedrooms that share a centrally located hall bathroom and giant loft. 2 car garage. MLS#21616807. HMS Real Estate, LLC. Full basement and 2 bay garage. MLS#21612327. HMS Real Estate, LLC. Only 12 months old & better than new! Must see! MLS#21596783. Highgarden Real Estate.